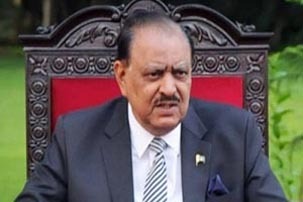 ISLAMABAD, Oct 25 (APP): President Mamnoon Hussain has strongly condemned the attack on Police Training Centre in Quetta on Monday. The President expressed his concern over the safety and security of the under training cadets at the Centre and directed that utmost efforts must be made to save precious lives while hunting down the terrorists. He also prayed for early recovery of those injured in the attack and directed the authorities concerned to ensure the provision of best medical care to them.